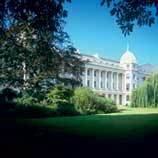 An agent from London Business School, University of London, will contact you shortly with more information. Our approach to learning is intensive, rigorous and fun. You will learn from globally-renowned faculty who are experts in their fields. The perspectives that each student brings - from different nationalities, job functions and industry sectors - are key elements in your learning, not only in classroom discussions but also in the group work. The Dubai-London Executive MBA programme offers: A rigorous, demanding and career-oriented programme which sets high standards of scholarship -Ideas for action, frameworks and thinking tools which are immediately applicable to your responsibilities at work -A wide choice of elective courses to focus and gain breadth and depth -The knowledge and experience of a world-renowned faculty working in continuing partnership with academics, industry and government -The opportunity to gain a multi-national perspective by working with faculty and participants from a wide range of national and cultural backgrounds -Optional international assignments to study business issues in a range of countries -The means to accelerate your career development and improve your contribution to your sponsoring organisation -A part-time MBA leading to the same degree as the full-time MBA -The opportunity to study and network in Dubai and in London, both leading world financial centres. See the London Advantage. The Dubai-London Executive MBA class is exceptionally high-calibre and diverse. Through the admissions process, we look for people who can both contribute to and benefit from the programme. In short, people who are able to bring that 'something extra' to the programme. As you can see from the class profile below, there is no 'typical' Executive MBA student. However, all our students have the potential and motivation to become true global, multi-skilled business leaders who are: -comfortable and successful in a global environment -able to effectively manage people and processes -able to think strategically -confident in a wide range of functions. The Dubai-London Executive MBA programme is broken into three parts. During the first year, core course classes are taught in a four-day block format, consisting of two weekend days and two weekdays. 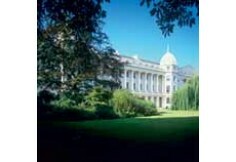 During the second year, students choose four to five electives from the School´s elective portfolio in London. At this time, students complete an individual management report and a study group project. There will also be a four-day module on personal skills development. 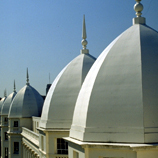 Part three, the Capstone course also occurs in the second year of the programme. 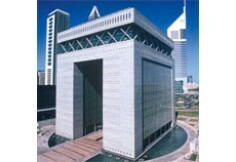 The Capstone course is held in Dubai. Core courses provide you with a thorough grounding in business and general management. The programme begins with an orientation dedicated to self-awareness and reflection, to examining leadership by analysing and improving your own team working skills, which will help you contextualise the Dubai-London Executive MBA in direct reference to your own career. The core courses are taught in a four-day block format consisting of two weekend days, and two weekdays. These 11 courses are the core of the MBA, and provide you with the opportunity to reflect upon and evaluate your experience and to develop global business capabilities, which we define as the knowledge and skills needed to operate as a successful leader anywhere in the world. At the heart of the programme is a solid foundation of business knowledge developed by our faculty. 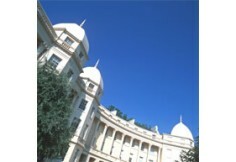 In order to meet the particular needs of working professionals, the programme's format and content have been designed specifically - based on extensive research and feedback from faculty, students and employers - to ensure the most effective use of time in the classroom, and minimise time away from work. Your choice of electives and management reports, which take place after successful completion of Part One, present an opportunity to explore areas of particular interest, to specialise in certain subjects and to gain breadth and depth across a range of business and management disciplines. You are required to complete four to five electives. Elective courses are delivered in various formats. Students select from the School's varied and extensive elective portfolio, which cater for all our degree programmes. Participants who commute long distances or have less flexibility in their work schedule may find electives that are scheduled in weekend or in block week formats particularly suited to their personal situation. The elective portfolio varies from year to year. Below are some of the electives that are currently being offered in a block format. Two management reports, one individual and one in your study group, enable you to integrate what you have learned on the Dubai-London Executive MBA and to apply it to an issue concerning your or any organisation. The projects are the equivalent of two courses. Once your research is complete, you are required to submit a written report that analyses the particular business issue you focused on. Your study group report will also culminate in an oral presentation to an assessment panel. The reports give you an opportunity to provide a substantial, tangible benefit to your sponsor, alongside the ongoing benefits of applying the knowledge acquired from the programme to your responsibilities at work. It will also demonstrate your ability to integrate theory and practice and to use the knowledge and tools introduced on the programme effectively. 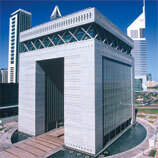 Dubai-London Executive MBA students will have the option of participating in one of our international assignments. Some of the key challenges which global business leaders face today are communicating and managing across boundaries and coping with ambiguity - features of the dual-location degree. The elements of the programme that take place outside of the School's Dubai and London classrooms and outside of the students' work environments contribute to understanding and facing these key challenges. The optional international assignments reinforce such extra-curricular learning opportunities. Each week-long immersion into a country allows students to experience the way business is conducted in other key economies and markets of the world, to test and apply skills in an unfamiliar business environment, and provides excellent learning opportunities as well as genuine benefits to companies. 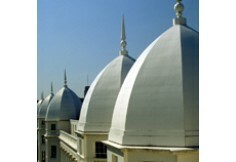 Depending on the location, students may conduct a communications audit in a company, advising on areas of best practice and how to achieve tangible improvements in communications activities, or work with companies to better understand the impact of new, emerging or changing national economies on different kinds of businesses: entrepreneurial, state-owned or international. Current destinations include: China, India, South Africa and Ukraine. In Part Two of the programme, we dedicate four days to expanding your personal skills set. The skills portfolio offers a range of workshops focused on your personal development. The sessions are practical and taught in small groups, providing participants with the opportunity to enhance their skills set in a number of different areas. Below is a sample of some of the workshops that are currently being offered in the London-based Executive MBA programme. The portfolio could vary from year to year. Provides you with practical tools and techniques to plan, rehearse and deliver presentations with impact. Explores how problems in work relationships affect you and the different ways these can be managed positively. This workshop will help you develop practical approaches to confront and manage conflict situations openly and effectively. Develops powerful techniques to gain commitment while building strong relationships. Focuses on problem analysis; it is fast moving and challenging. Provides the tools needed to prepare and give constructive feedback. 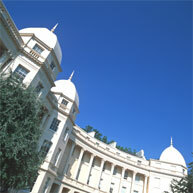 This course is based on participants' real life scenarios. Gives you the essential skills you need to handle any interview process end-to-end. You will look at the different kinds of interviews and arrive at objective decision criteria. Uses proven tools, techniques and tactics of principled negotiation within multinational guidelines. At London Business School we understand that core disciplines are a vital part of any MBA programme and this is why we offer the breadth and depth of courses you see listed below. The Dubai-London Executive MBA core courses offer a thorough grounding in business management and the opportunity to build on existing skills and acquire new ones. The core courses enable you to gain practical skills that can immediately be applied back to your career. The programme begins with an orientation dedicated to self-awareness and reflection, and to examining leadership by analysing and improving your own team working skills, which will help you contextualise the Dubai-London Executive MBA in direct reference to your own career. 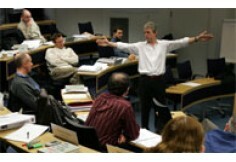 At the heart of the programme is a solid foundation of business knowledge developed by faculty. In order to meet the particular needs of working professionals, the programme's format and content have been designed specifically - based on extensive research and feedback from faculty, students and employers - to ensure the most effective use of time in the classroom, and minimise time away from work. Your choice of electives and management reports, which take place after successful completion of Part One, present an opportunity to explore areas of particular interest, to specialise in certain subjects and to gain breadth and depth across a range of business and management disciplines. You are required to complete four electives. We continually update the portfolio of electives in order to reflect current business issues and the latest developments in markets, technologies, processes and the global economy. Many elective courses are offered in block week and modular (normally alternate Fridays/Saturdays) formats to fit more easily with the Dubai-London Executive MBA schedule. In addition, Dubai-London Executive MBA students are able to choose from a number of electives offered in weekly sessions during the day and evening. A key feature of the elective portfolio is that you will study alongside students from other London Business School programmes and with visiting international exchange students. Thus, your network and learning opportunities will increase and you will be able to further refine your skills of working in different teams. Below are some of the electives that are currently being offered in a block format.